This webpage is dedicated to providing information about the Peers of Trimaris, their associates, legacy regalia and more. In progress projects such as the Trimaris Book of Ceremonies and the Trimaris Book of Kings are also available at this site. Find a Peer by their specialty or location in Trimaris. Find resources for new peers. Check out progress on the Trimaris Book of Ceremonies. Check out progress on the Trimaris Book of Kings. As of 4/9/2018 all peers in the Kingdom of Trimaris should have peer profile pages. If you find a page is missing or linked to the old site or you need an update on your page, please contact Mistress Maol at melessee@gmail.com and put Trimaris Peers in the subject line. To all who read these letters, greetings! By the grace of TRMs Takamatsu Tadayoshi and Cecilia D'Este, King and Queen of Trimaris, Master Giovanni (Bill Ernoehazy), Don Matthias (Todd Griffin), Don Clothar (Timothy Hebert), and Don Davius Saint Jacques shall present themselves at Trimaris Memorial Tournament. There, they will take vigil on the evening of May the 23rd; Play their Masters’ Prize May the 24th; and be elevated to the Order of Defense at Evening Court, May the 24th. Times will be finalized soon, and will appear in the event schedule. All are invited to attend these ceremonies, lend their support, give us good counsel, and undertake passes at arms, a la pleasance, with us. Olav von Trier was elevated to the Order of the Chivalry. Brygyt d'Arcy was elevated to the Order of the Laurel. Richard Le Wulf was elevated to the order of the Pelican. Also, the first candidates for the Master of Defense in Trimaris were announced in evening court by TRM Takamatsu and Cecilia. Their dates of elevation are still to be determined and will be published here as they are made known. Congratulations to Master Tomas mac Odhrain who was announced and elevated to the Order of the Pelican at Crown Tourney. 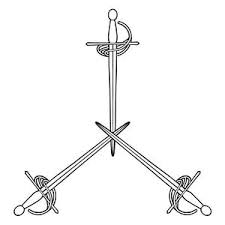 Congratulations also to HL Brygyt d'Arcy who was announced to the Order of the Laurel and will be elevated at Spring Coronation, 2015.